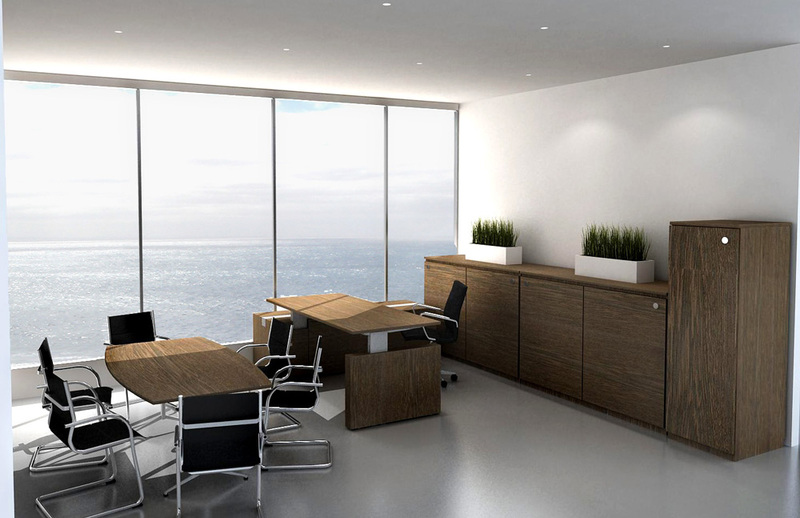 The Scenarios workstation is designed to be featured in an executive office or high end fit out. 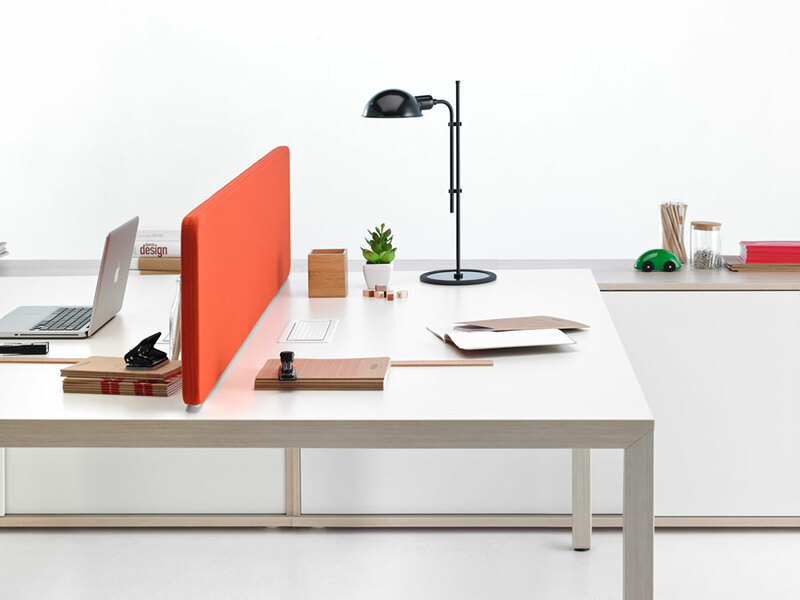 It combines the workstation and storage into one beautifully designed product. 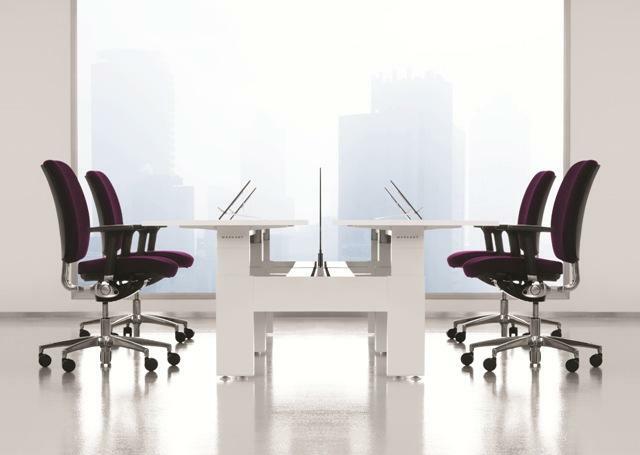 The intuitive nature of the Scenarios system has carefully considered every need and functionality to ensure that your place of work becomes a haven in today's hectic office environment. Aesthetically it has few rivals. 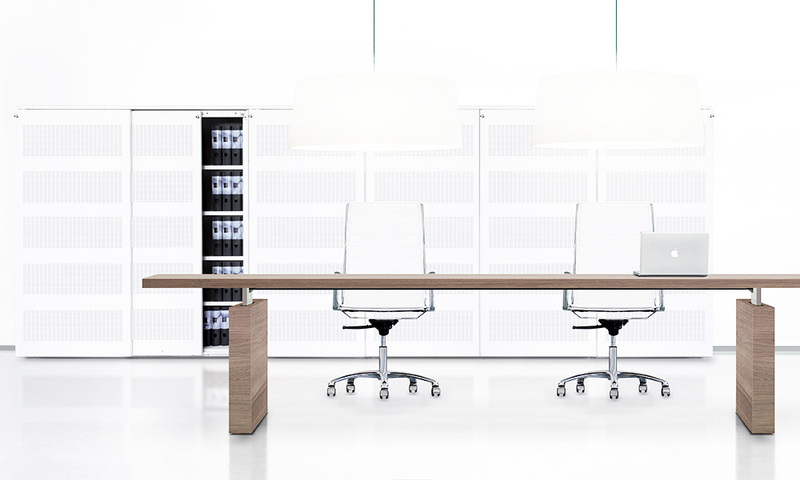 Available as a single, cluster, executive desk or even a meeting table it is a versatile system which is at home in a busy law firm just as it is at a funky design firm. 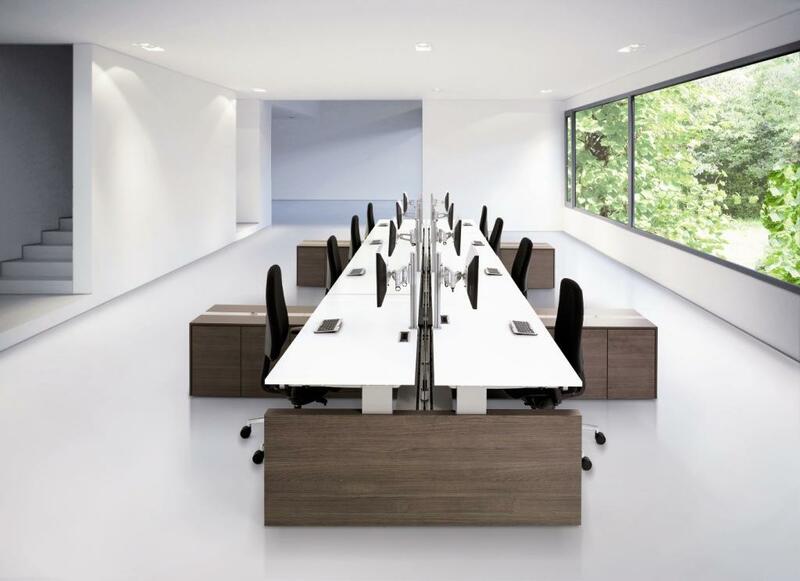 Workstations with panels, workstations with cabinets, executive desks and meeting tables. 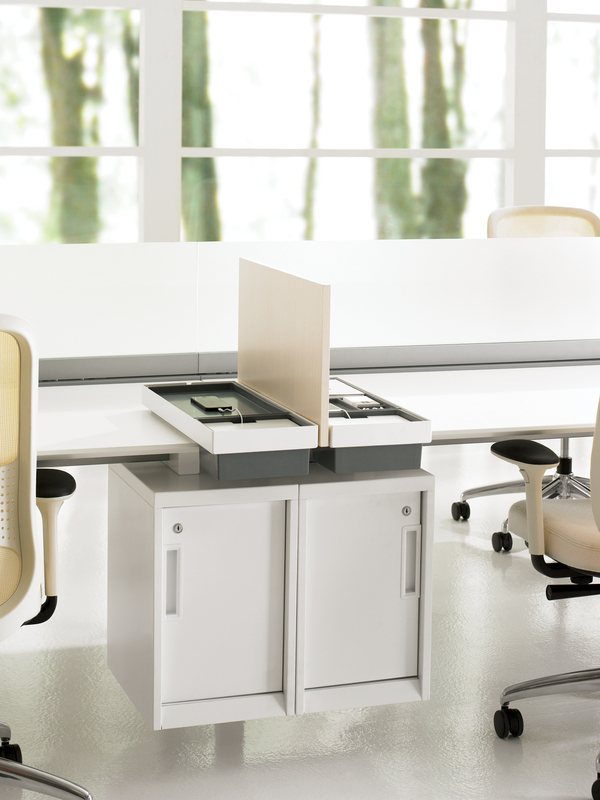 Scenarios workstations are height adjustable via crank handle or electric motor. Frame available in white or silver only. Screens available in glass, perspex or fabric upholstered. 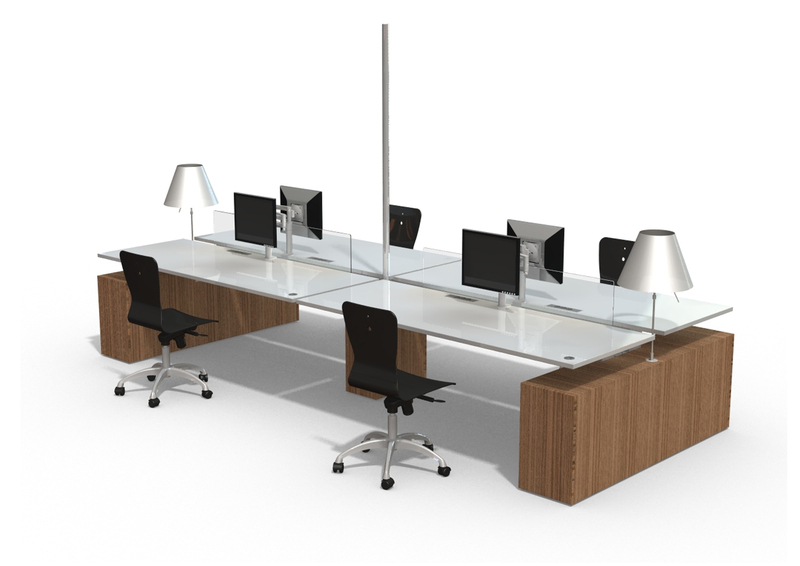 Screens are available in glass, perspex or upholstered and come with accessory rails which can be placed between workstations. Upholstered screens have foam backing to assist with noise reduction. Cable channels are integrated under the workstation and segregated for power and data. 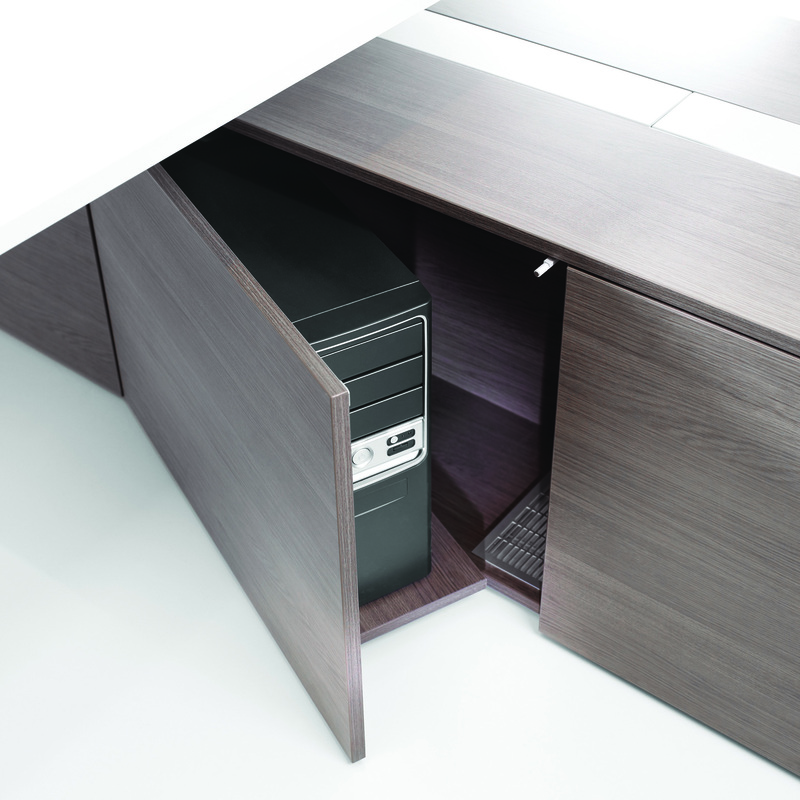 The CPU is concealed in a specially designed cabinet which opens outward for easy access to switch on. An adjustable band ensures that all sizes of CPU's are able to be accommodated.